Bhaktapur Heritage Tour of great fascination a visit into medieval era city which is within east of Kathmandu valley of 45 minutes drives from Kathmandu and Patan cities, leads you to old temples and monuments of Bhaktapur. Bhaktapur the third largest city within Kathmandu valley, at one stood as capital of Nepal during great Malla Kingdom from 12thto 15thcentury. Bhaktapur Heritage Tour covers four square miles of land located at 1,401 meter high a home to traditional art and architecture, pottery and weaving industries, rich local customs and culture, and the every-day life of Bhaktapur people. 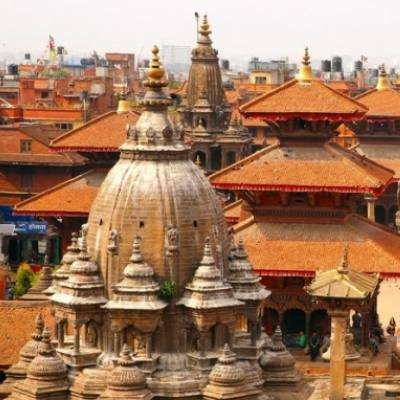 Bhaktapur Heritage Tour where its name means city of devotees with old name Bhadgaon, situated east of Kathmandu city, famed for its ancient historical monuments of medieval period with interesting markets. Although a semi metropolitan city, but still retains its ancient glory of fine old culture and heritage as it was since past hundreds of centuries. Around Bhaktapur, where you can soak in ancient period times of old Malla dynastys with artistic achievements of fine arts and crafts, that reflects within Bhaktapur city. Bhaktapur is also known by woodcarving artists, for typical Nepalese cap known as BhadgaonTopi, for its famous curd. On tour of the city with time to relax and observe interesting and fascinating happenings around the streets and in temple yards, busy with colorful open markets, womens making clay-pots, weaving, and sun-drying crops and vegetable products. Bhaktapur, located at 14 km distance east of Kathmandu. One of the world best Nepal heritage sites reflecting the citys rich culture, art and architectural design, it is also the central setting of the city for architectural monuments and arts. Famous golden gate entrance to the main courtyard of the Palace of 55 windows; the gate is regarded as the worlds most beautiful and richly carved specimens of its kind. Highlights of Bhaktapur and landmark Nytapola Temple, meaning 5 storied temple of 30 meter high, tallest temple of Kathmandu valley. It was built by King Bhupatindra Malla in 1708 AD. Each of its five terraces holds a pair of figures, starting from bottom wrestlers, elephant, lion, griffins and goddesses. Located within Bhaktapur Durbar Square treasures rare paintings and manuscripts with painted covers and illustrations are found in this museum. Gallery contains brass, bronze, stone and wooden images of medieval art tradition of Nepal. Gallery is closed on Thursday and public holidays. Originally built as one-story pagoda during King JagatJyoti Malla period, later changed into a three-storey temple in 1718 A.D. by King Bhupatindra Malla, this temple now stands for its artistic grandeur. Bhairavnath temple is dedicated to Lord Bhairab - the god of Terror. Built in 1427 AD, the temple is said to have been built from a single tree visit a monastery having exquisitely carved peacock windows located near the temple area. Around Bhaktapur there are two main pottery area, the first pottery square is at Suryamadhi east from Dattarya temple square, it is the oldest pottery square, another pottery place leads south from the Nytapola square atTalakos Potters Square walking along interesting markets side streets the pottery is in full blaze, the wide open brick courtyard with a mix of small grey and brownish red clay pots, where each pot is examined by hand before being turned to face the sun at new angle or dipped into a bucket of colored water. Observe the craftsman on wheels shaping the clay in a finely tuned system of human pottery rotation from past centuries of old tradition. 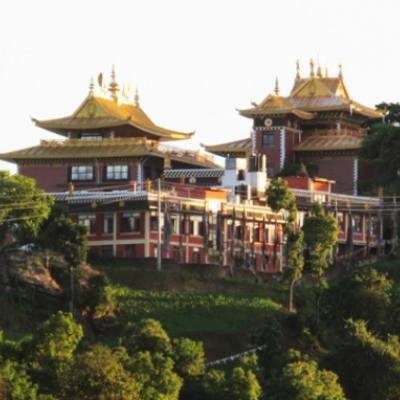 Oldest and ancient temple of Nepal Changu Narayan, located on a high hilltop also called Changu or Dolagiri. The temple area is surrounded with forest of champak tree and small Changu village which is north of Bhaktapur. Changu Narayan Temple dedicated to Hindu god Lord Visnu,this temple is considered as the oldest one in Nepal. 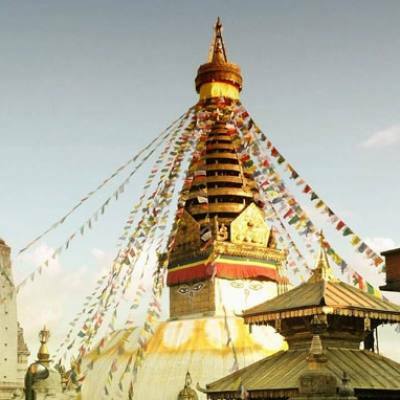 The pagoda style temple has several masterpieces of 5th to 12th century of excellent Nepalese art. According to legends Changu Narayan temple existed as early as 325 A.D. in the time of King Licchavi King HariDattaVerma and it is one of Nepals richest structures historically as well as artistically. In the grounds there is a stone pillar inscription of great importance recording the military exploits of King Man Deva who reigned from 496 A.D. to 524 A.D. The first epigraphic evidence of Nepalese history found in the temple premises during the reign of the Licchavi King Mandeva dating back to 464 A.D.
A famous and popular view point of Nagarkot which north of Bhaktapur, a popular touristic spot an altitude of 2,175 m high, offers stunning sunrise and sunset views over chain of Himalayan peaks from Manaslu-Ganesh-Langtang-Jugal Himal towards east of Everest range. A serene town of mostly Tamang ethnic tribe a hill people of Nepal with traditional farm villages and neat terraces fields within pristine woodland of rhododendron-pines-oaks and fir tree lines. Nagarkot with cool alpine temperatures, a famous gateway for city folks to escape from hustle and bustle of city life in the comfort of nice and wonderful lodges, hotels and resorts where all rooms faces beautiful views of snowcapped peaks. Activities: Cultural - Heritage tour-drive and walks. 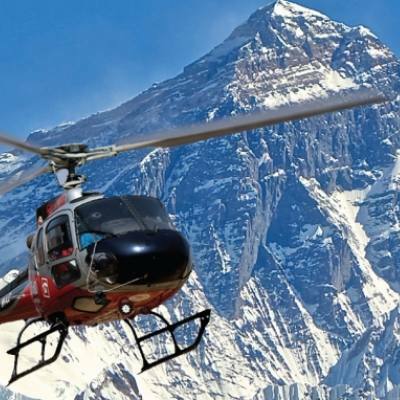 Region of Tour: South of Kathmandu 3rdmain city of Nepal. People and culture: Mostly inhabited by Newar of both Hindu and Buddhism religion, as well with mixed people of Hindu and Buddhism with various ethnic cultures and custom. Tour duration: From Half Day 9 a.m. to 1 p.m. Full Day 9 a.m to 4 p.m.